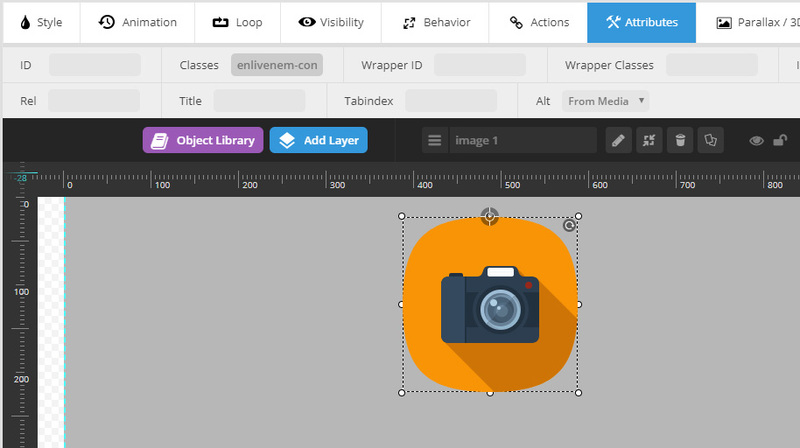 animator: This folder contains the Animation Editor which can help you to prepare your SVG illustrations for using with the Enliven 'Em plugin. Please DO NOT upload this Editor to any server (hosting), it's developed for your local use only. documentation: As title says this is a documentation. examples: This folder contains some ready to use animated SVG files. Look at them as a starting point. for_upload: This one is for uploading to your server. The folder contains a ZIP file with the plugin itself. If you make an update from version 1.5 or earlier please deactivate and completely delete currently installed version of the plugin and follow the install steps mentioned below for new version 1.8. If you activate your Envato purchase code inside the plugin, then automatic updates will be available on Plugins page of your WordPress dashboard. In your WordPress Dashboard navigate to Plugins > Add New. Click Upload on top and browse for the enlivenem-1.8.zip file from for_upload folder and click Install Now. After installation is complete click on Activate Plugin. Plugin is now installed and activated. After uploading you need to define plugin's settings. If this option is checked, only Administrators will be able to upload SVG files. If not checked, anyone with Media Library access or "upload_files" capability will be able to upload SVG files (usually they are Administrators, Authors and Editors). If this option is checked, any SVG files which are uploaded via Media Library will be checked for correct SVG tags and attributes. Important: <script> tag, contentScriptType attribute and all SVG event attributes like onactivate, onbegin, onclick, etc. will be removed! It is strongly recommended do not disable this option unless you are absolutely sure about your uploading SVG code. Especially if you allow to use your Media library uploading for Authors and Editors. Sometimes, in rare cases, there are a conflict with third party plugins, and as a result there is a broken grid view of thumbnails in Media Library. To prevent this you may disable thumbnails for your SVG files by checking this option. In general, all <img> and <svg> elements with class enlivenem can be animated if you add special data attributes and class for their SVG code (see below). You can define the additional CSS selectors for elements which you want to animate, and you don't want to or can't add the class enlivenem to them (for example in your theme files). And you prepared your my_cool_logo.svg for animation. 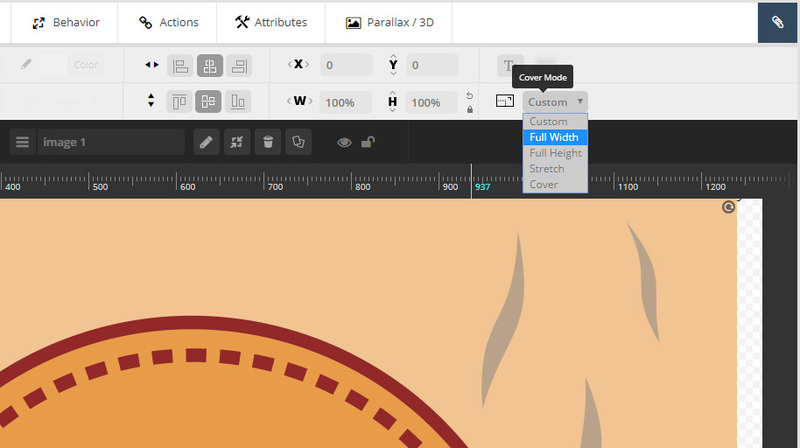 In that case you can add the following code: .logo img into the Additional CSS Selectors field. If you want to remove previously added selectors, simply leave the field blank. After making any changes please click Save Changes button. 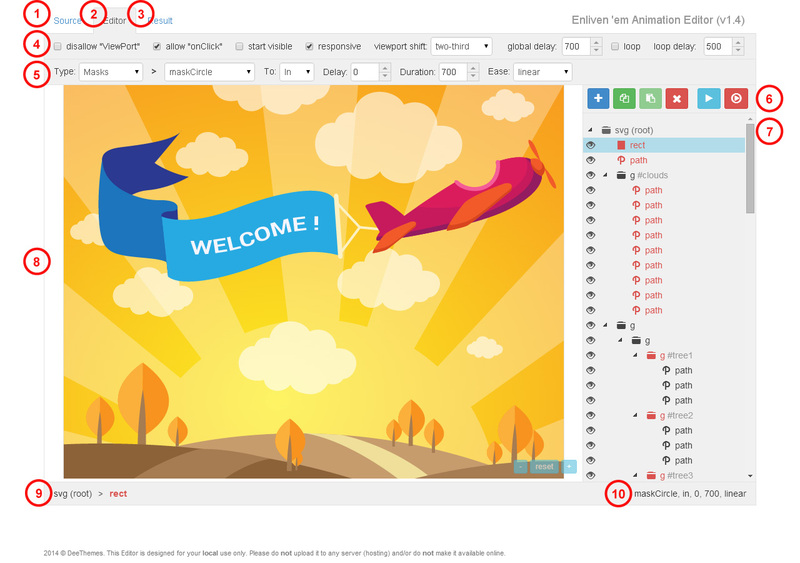 Now your site is ready to use Enliven 'Em SVG animation engine. How to prepare your SVG code for Enliven' em script is described below. 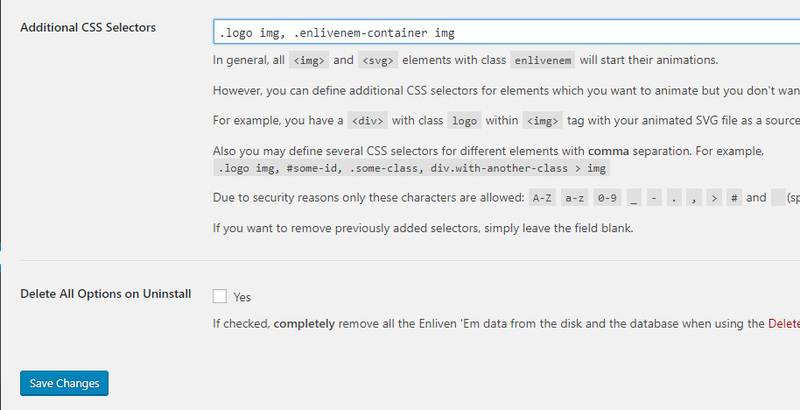 If checked, completely remove all the Enliven 'Em data from the disk and the database when using the Delete link on the main plugins page. This tab allows you easily import and export plugin settings. By activating Enliven 'Em! license you will get access to direct plugin updates. 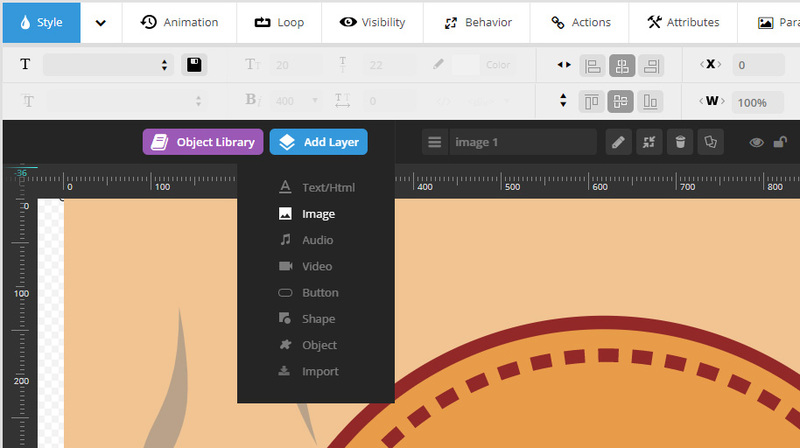 Upload your ready to use SVG file(s) via Media Library. Insert your uploaded file(s) into your post (page) as any other image. Click a pencil icon to edit this image. Please keep in mind that Size setting from the screen above will NOT take effect! Both width and height attributes must be set within <svg> tag itself in your SVG file. 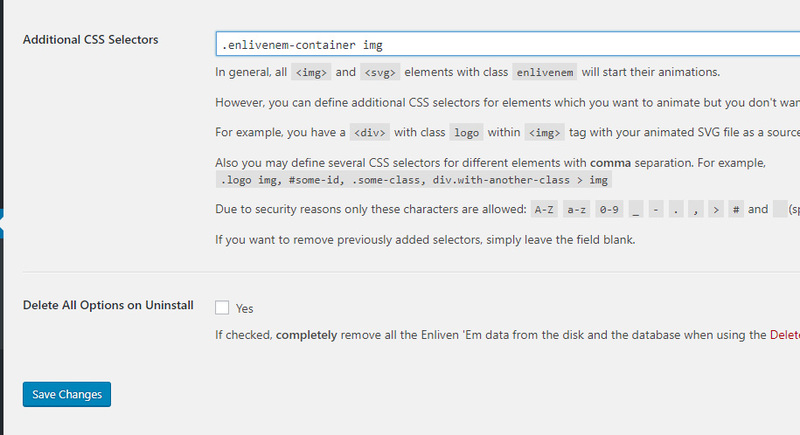 Go to the General Settings page of Enliven 'em plugin. You should do such setting only once. Important! Please do not use any alignments for the image if you have set responsive option inside data-global-elvn attribute of your SVG (see the details below in the "Make SVG enlivened" section). 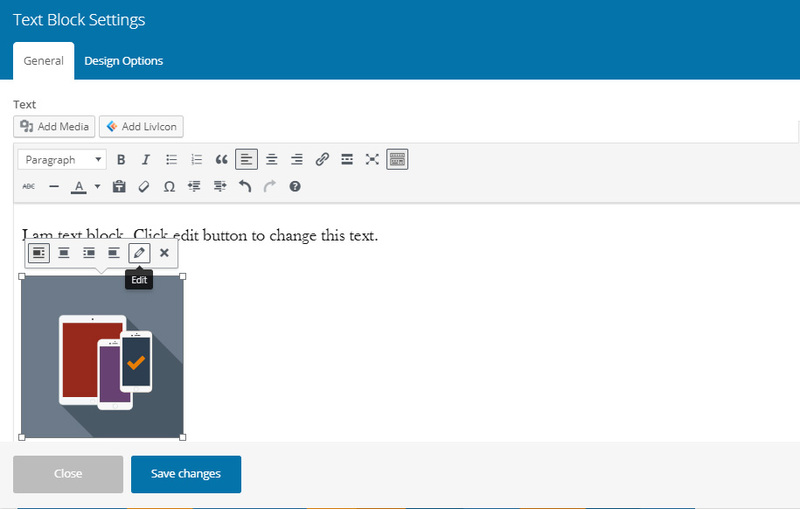 After that click Save changes button of WPBakery text block and update your post/page. IMPORTANT: The plugin doesn't have and will not have a purpose to work inside any sliders. So, Enliven 'em plugin doesn't compatible with Revolution Slider and there is no guaranties that it will work inside the slider. Furthermore, Enliven 'em animations may work in the very first slide only! It will not work in second, third, etc. slides. IMPORTANT: There is no way Enliven 'em plugin works correctly inside Revo slider if cover mode is set to values other then Full Width for responsive animated SVG. 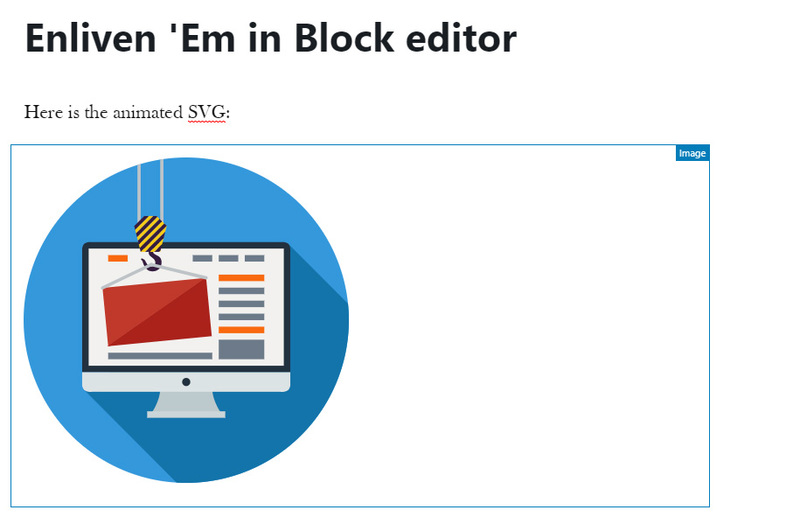 Please pay attention on this feature while creating your SVG in a part of its width. NOTE: As it was said above: "Formally, Enliven 'em plugin doesn't compatible with Revolution Slider". So the support does not cover any issues with this part of functionality. 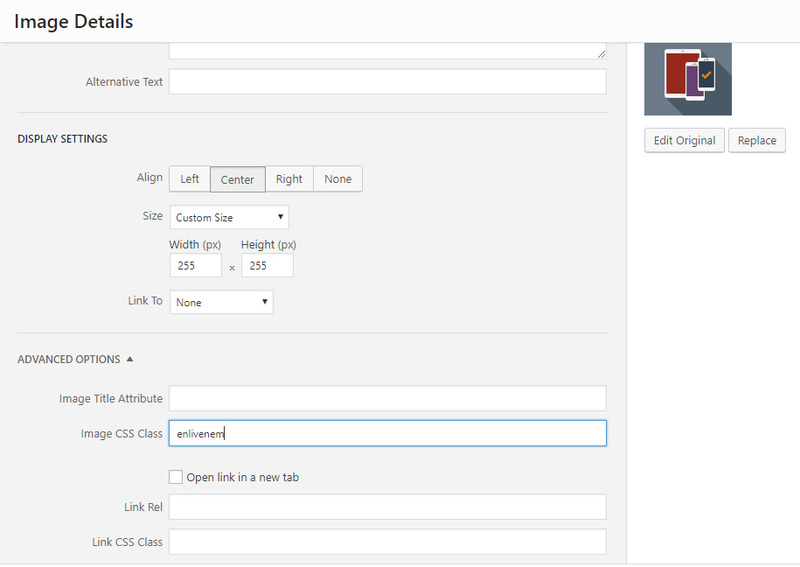 Also the shortcode can take two options: class and style, if needed. The class one can hold additional class name for wrapper div and the style one can contains additional styles for that wrapper. As you know, SVG code is XML markup language. 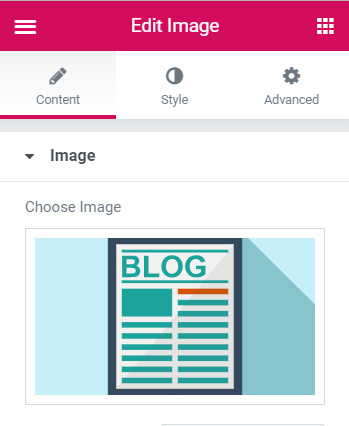 So you can simply use it on your site as a part of your HTML (PHP) directly instead of using the img tag. The other benefit of this mode is that it reduces a page's loading time, and HTTP requests. You can find out what selectors to use by inspecting elements in developer mode in your browser (F12 key in Google Chrome or FireFox). You can use any CSS selectors for your <img> tags to start Enliven' em script programmatic. The callback function (if passed) will be invoked when all SVG data is ready to start the animation. Also, if you want to invoke click event programmatic on your animated SVG, you can use special method jQuery( 'your_css_selector' ).svgClick(); because the standard jQuery .trigger('click') one doesn't work with SVG. 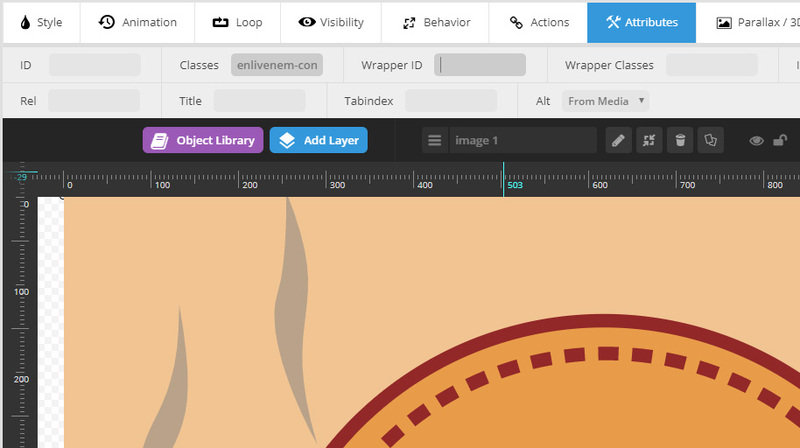 The script will convert any SVG image from <img> tag with class enlivenem to its in-line form automatically. So if you even don't use any animation, you can convert your SVG into in-line (SVG code will be embedded to a page's one) form and control CSS styles of that SVG shapes (path, circles, polygons, etc.) via external style sheets. The main: Before upload to a server, a SVG image MUST be prepared. All the animation data and global options are included in SVG code itself via class name and HTML5 data attributes. The script finds all these data in your SVG code (file) and produces animations and applies options. You can add these data and options by hand writing in a code or, the better way, use the Animation Editor for doing that in a WYSIWYG mode. Look for the Editor in the animator folder. circle, ellipse, g, image, line, path, polygon, polyline, rect, text and use. Using animations on any other tag may cause an unexpected results. Also please keep in mind that the drawLines effect will not work for image, text and use tags. IMPORTANT: You must have width, height and/or viewBox attributes are defined for svg tag. Also the script work only with pixel units! You can't use em, %, etc, only px. Think about your SVG illustration like any other image which has its own width and height. If you want to make your SVG responsive, simply define responsive option in data-global-elvn attribute. If you want to use other units then px like em, %, etc., you can wrap your Enliven 'Em image with additional <div> (with a help of [enlivenem_wrapper] shortcode for example), or <span>, and apply to them styles in em, %, etc.. 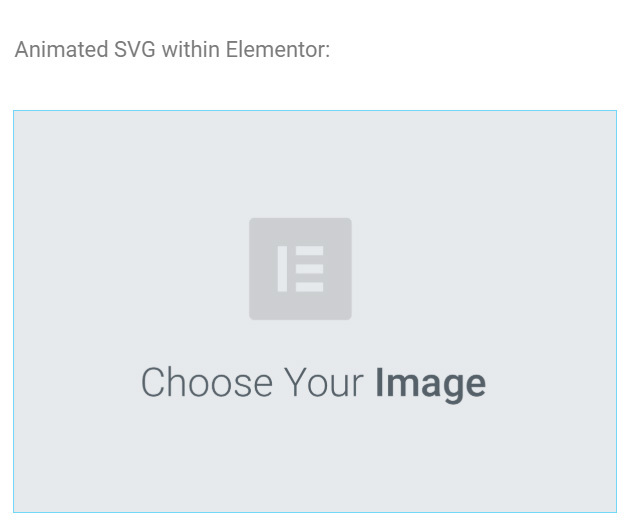 This option are added to svg tag itself in data-global-elvn attribute. The order of options are very important! Please do not mix them. Example: data-global-elvn="enableViewport, enableClick, full, startInvisible, responsive, 0, notLoop, 500"
disableViewport If value is "disableViewport", animations will NOT start when SVG appears in users browser viewport. 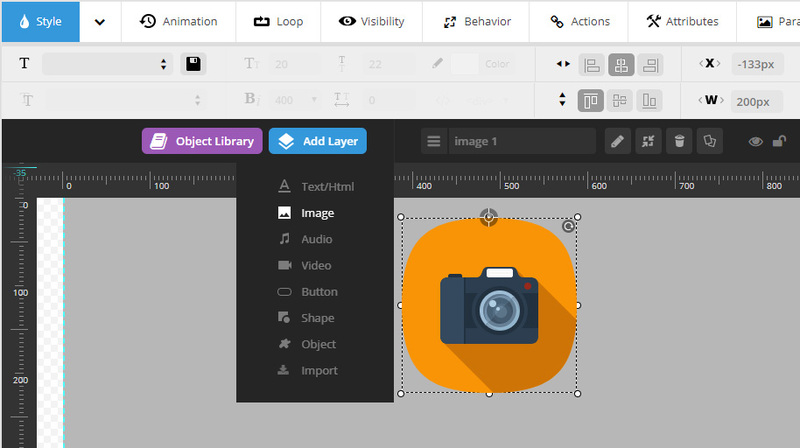 disableClick If value is "enableClick", animations can be repeated when a user clicks SVG. full Take effect when "enableViewport". It means that animation starts only if SVG is in a viewport at least the given value, calculated from SVG height. startVisible if "startInvisible" the SVG becomes invisible when page is loaded. Suitable for "in" animations. notResponsive If "responsive", SVG will be wrapped with the special container and responsive styles will be applied from enlivenem.css file. Also width and height attributes will be removed and viewBox one will be added. notLoop If "loop", SVG animation will be repeated infinity, repetition on "click" will be disabled and not take affect. 8 integer from 500 The time of pause in milliseconds between every animations repetitions. Strongly recommended to set this value no less that 1000 - 2000 ms.
You can do this by adding class elvn-layer and data-elvn attribute to those tags. For custom animation you need to add one more attribute: data-elvncustom. For morph animation you need to add one more attribute: data-elvnmorph. For alongPath animation you need to add one more attribute: data-elvnalongpath. And again: the order of options are very important! Please do not mix them. There are seven (7) different types of animation. Each type has its own options and the order of these options in data-elvn attribute. Example: class="elvn-layer" data-elvn="fadeLongR, in, 700, 1000, easein"
wheelB, wheelL, wheelR, wheelT, wheelC The better way is to play with these values in Animation Editor. out If "in", the animation will go to neutral position. If "out", the animation will go from neutral position. 3 integer from 0 The delay in milliseconds before an animation starts. 4 integer from 0 The duration in milliseconds of an animation. linear The name of easing function. Default is "linear". Example: class="elvn-layer" data-elvn="maskClockOne, in, 1000, 1500, easeinout"
maskStackX, maskStackY, maskTighten The better way is to play with these values in Animation Editor. Example: class="elvn-layer" data-elvn="gaussBlur, in, 0, 1000, 16"
5 Integer from 0 The value of standard deviation for Gaussian blur SVG filter. Example: class="elvn-layer" data-elvn="drawLines, 0, 2000, red, 3, random"
5 HEX, RGB or HTML name The color value for drawing line. notRandom Take affect when drawLines is applied for <g> tag. All shapes (primitives) in this group will be drawn with random duration within the limit of duration option above if this value is set to "random". Example: data-elvn="custom, in, 0, 1000, 100, easeinout" data-elvncustom="t100,0s2,2r-270"
Please pay attention that "custom" animation must have one more data-elvncustom attribute. 5 integer from 0 to 100 The percent based opacity value. Transform string can be for example: "t100,100r30,100,100s2,2,100,100r45s1.5"
Each letter is a command. There are four commands: t is for translate, r is for rotate, s is for scale and m is for matrix. There are also alternative "absolute" translation, rotation and scale: T, R and S. They will not take previous transformation into account. For example, T100,0 will always move element 100 px horizontally, while t100,0 could move it vertically if there is r90 before. Just compare results of r90t100,0 and r90T100,0. So, the example line above could be read like "translate by 100, 100; rotate 30° around 100, 100; scale twice around 100, 100; rotate 45° around center; scale 1.5 times relative to center". As you can see rotate and scale commands have origin coordinates as optional parameters, the default is the center point of the element. Matrix accepts six parameters. Important: "morph" effect can be applied for path elements only! Please pay attention that "morph" animation must have one more data-elvnmorph attribute. out If "in", the animation will go to neutral (initial) path's shape form. If "out", the animation will go from neutral (initial) path's shape form. data-elvn="morph, out, 500, 1600, linear"
Here you see the path tag. The value of the d attribute of this path represents a "rabbit" shape. On the other side the value of data-elvnmorph contains data for "crow" shape. So my script changes the d value from "rabbit" to "crow" if the direction of animation is "out". And it also can change from "crow" to "rabbit" when the direction is "in". On the other words you need to prepare 2 shapes path's data in your vector graphic software, so they can be morphed from one into another. "Morph" effect doesn't control an opacity! So the path element with this effect will be visible when page is loaded. If you need to control the opacity of your "morphed" path(s) please wrap it(them) in an additional g tag and apply the "fade" effect to that added group. Also you can try for that group the "custom" effect with desired opacity value and with neutral transform string in Snapsvg format - "t0,0". Example: class="elvn-layer" data-elvn="alongPath, end, 0, 2000, -90, easeinout" data-elvnalongpath="M181 127h1c2.6 ... 125v-10"
Please pay attention that "along a path" animation must have one more data-elvnalongpath attribute. end If "start", the animated element will move from ending path's point to the starting point of that given path. If "end", the element will move from starting path's point to the ending point of that given path. 5 integer in range [-180, 180] The rotation angle in degrees of an animated element. Try -90 or 90 values for rotating an element in a path's direction. You should create a path inside your vector software (say Adobe Illustrator), along which the other SVG element will be animated. After saving your file as SVG, simply copy a data from the d attribute of that created path. To prevent an unwanted rotation when the animation is finished, please create your path with a little straight line tips at that path's start and end points. "Along a path" effect doesn't control an opacity! So an element with this effect will be visible when a page is loaded. If you need to control the opacity of your "alongPath" element(s) please wrap it(them) with an additional g tag and apply the "fade" effect to this added group. Also you can try for that group the "custom" effect with desired opacity value and with neutral transform string in Snapsvg format - "t0,0". When you or your freelancer prepare(s) a vector illustration, try to give meaningful names to elements and groups which you want further to animate. 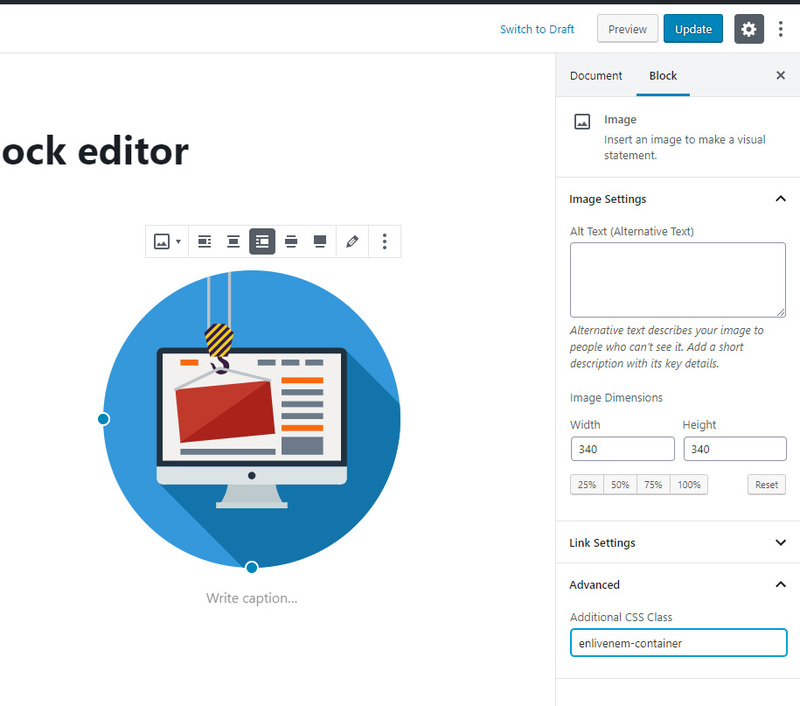 It will help you to find those elements in the Editor's tree with easy. If you use Adobe Illustrator for creation, please try to avoid using classes like ".st0, .st1, .st2, etc." in your ready SVG code. It might cause a conflict when you use more then one animated SVG on the same page. It will be better to use "Presentation attributes" option. After taken a result SVG code from Adobe Illustrator, Inkscape or Sketch, you can optimize this code via this SVG editor by Peter Collingridge especially if you use Inkscape, because it adds too many its own tags which are not necessary for web. But please be careful with optimization options. 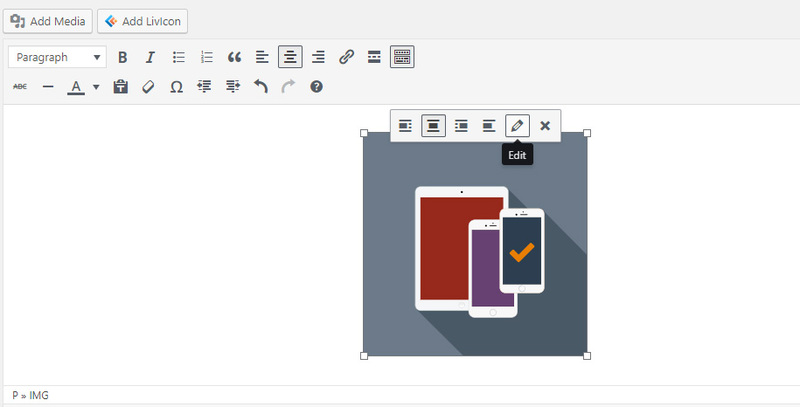 If you want to make several animations on one basic element, wrap it with additional g tags as many as you need animation steps and apply different animation options for those groups. Try to avoid to apply animations for elements in defs. One exception is use tag. But be carefully with use elements, sometimes they give unexpected results. Please remember that "morph" effect works only with path elements. Please be careful with global "loop" option. Users don't like inappropriate annoying effects. The Animation Editor, which you can find in the animator folder can help you to prepare your SVG code for Enliven 'Em script with easy. It's impossible to describe all working aspects with Editor in this documentation file, so here is a screen-shot with some interface description. Source tab. Here you paste your initial SVG code. Editor tab. Main tab with the Editor itself. Result tab. From there you can copy the resulting code with embedded animation options and paste it into your HTML code or a new SVG file. Buttons (from left to right): "Add animation", "Copy animation", "Paste animation", "Remove animation", "Play animation for current element", "Play all animations"
For details of how to work in the Editor please watch the video tutorial, which you can find on my demo site and/or on my Youtube page. gaussBlur effect doesn't work in IE9 because that browser doesn't support SVG filters at all (Works fine in IE10 and IE11). Fall-back to fade effect is provided for IE9. From version 1.6 there is an automatic updates mechanism. Please activate your copy of the plugin by using your Envato purchase code on the plugin setting page inside your WordPress dashboard.